It is that time of the year again – the finals. You probably know all the do’s and don’ts and yet, you keep losing your concentration, as always. Everyone says the same – don’t forget to sleep, study a lot, and stick to the calendar. But, you are the one left with the burden of learning anything and keeping your parents proud, as well as doing something with your life. If you want to do something good with your life and become successful, you must pass these exams and get good grades first. The process starts here. This means that it is time to face reality and stop panicking. Instead of worrying, read just one more guide on how to concentrate – our insightful and realistic, last-minute list of what you should do to pass the finals. You may hate one of your teachers, or they may hate you (yes, we do believe you). However, the days before the finals are just not the time to be carried away, or avoid to ask questions. This is the time to listen to everything the teacher has to say about the finals, and ask as many questions as you need. Ask for a consultation – the teacher is there to help you. Find out their office hours and visit them instead of wasting your time fussing over the books in your room. In most cases, this is the night before the exam. It is sad but unfortunately, most students do it. And making it stop is harder than anything else you will find on this list, so be prepared to make some serious changes. Start the learning process at least a few weeks ahead. Just gather the notes you have, see if you have something missing, and compare your notes to those of your friends. In this way, even if you do fail to study in time again, you will at least reduce the panic during the last-minute studying session. You may have found your perfect place to study, but staying in the same room for days can easily bore your mind. It will be the same light, the same temperature, and same objects in the surrounding. If you notice a lack of productivity, just change the location. Get fresh air and come back, or change the scenery altogether. As simple as that. Shower, brush your teeth, wash your hair, shave, or change your clothing. Anything that will get you away for a couple of minutes, but not too long to make you miss out on the learning. Something as simple as a shower can make you feel better about yourself, and help you keep the body in harmony. The finals are no time to panic. We understand that you have too many exams, and all those papers to write, but there is a solution for everything. You can get a tutor, study with a friend, even use a writing service to get your papers from. Keep your mind clear and don’t run around like a headless chicken. These exams are too important for you to fail them because you panicked. It is time to assemble all the things you will need when learning. Otherwise, you will keep being distracted by the things that are missing, and probably use this as an excuse to get away from the books. Get everything in place. Clean the room and the mess around you, and assemble the notes, papers, and books. Get some snacks and a water bottle and put them next to you. Finally, get your favorite, lucky pen. You are good to go. Of course we are talking about your phone. Do not turn off the sound – you will still be distracted by the vibrations or the light that comes on every time your friends send you a message. Either turn it off or put it in another room. Do the same for all your distractions. If this does not work because you are using the computer for studying, turn off the Wi-Fi. All guides will tell you to sleep a lot, eat healthy and exercise. Sleep is certainly very important, but as long as you don’t use it as another procrastination method. Sleep enough hours, but that is it. Set an alarm and get up to study. This is the hardest part, but make yourself do it. You will probably spend the most you can on assembling the things around you or gathering notes and picking out a pen to use, but eventually, you must start learning. Some procrastination won’t hurt you and it is expected from everyone. But now, it is time to study. 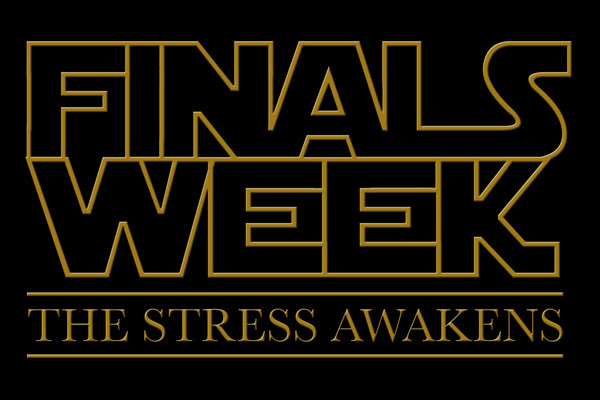 Your finals are approaching fast, so get right on it. No time to waste! Authors Bio: Jack White always wanted to be a writer, which is why he has worked so hard to become good at it. He knew all that his hard work would pay off one day, he just had to keep trying and not let anything or anyone get in his way. He’s a professional now and is proud of it. You can follow him on Twitter.